Well, if I were to buy the same items in the same quantities from any major supermarket, first of all it is very unlikely that I could have found them all in one place. Secondly, it would have cost me at least twice this price and easily three times if I were not paying attention to the “specials” of the week. To economize, I always buy my stuff from vegetable & fruit wholesalers. This particular load is from Sami Fruits. Sami is one of the major wholesalers of fruits, vegetables and dried nuts in Montreal with very competitive price. These guys are of Lebanon origin. 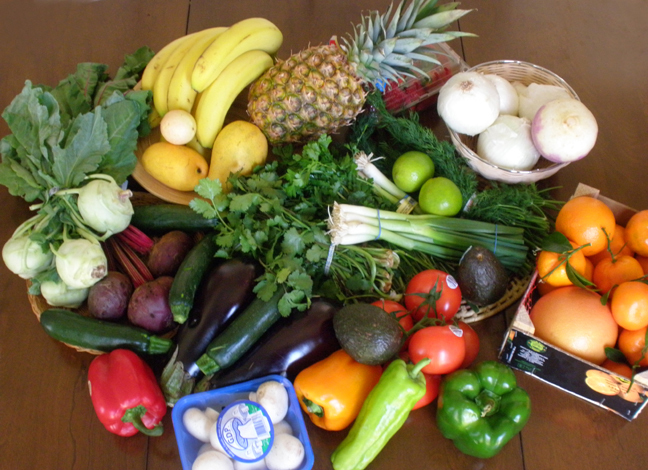 Other similar fruit/ vegetable wholesaler are of Iranian origin (Akhavan), and we also have lots of small and big Indian origin grocery stores.